Better late than never! 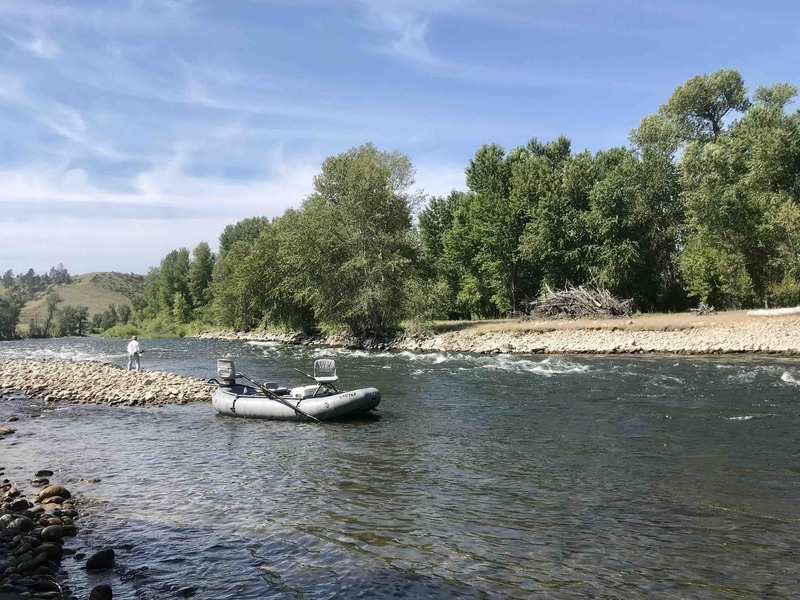 August has started off strong for our anglers and Bozeman, Montana fly fishing guides. We’ve seen cooler temps, some precipitation, and overcast skies, which has meant lots of great days on the water. Looking forward for the rest of the month we expect a few waves of heat to hit us but are expecting things to start cooling off as we move through August, water temps to drop slightly, and the bite to only get better. August 2018 is going to be one hell of a hopper year. The bushes are alive and the hoppers are at the waters edge. We have already had some great days on all of our local rivers fishing single hoppers from ramp to ramp and we look for this to only get better as August goes on. We’ve been busy running around from the Yellowstone River, to the Madison River, to the Missouri River, to Yellowstone National Park, and all points in between. And we’ve seen great fish attacking hoppers across them all. Need some fishing advice for August? Start early and cut off your dropper. Mid-day water temps have been crossing 68F on warmer brighter days and the bite tends to taper off once they hit this mark. Start early and be done by 2 or 3. Better fishing for you and much less stress for our wild trout. Say no to the dropper! You can’t get your hopper in close enough in many of the better trout lies or get quality drifts in skinny water with a bead head dragging behind. You will find you will get significantly more dryfly eats if you fish a single dry. Can’t beat those hopper eats. Wanting to get out on the water this August with one of our Montana fly fishing guides? Give us a call today and we’ll get you squared away. We still have a few dates available at the end of the month. A few left in September too. Going to a great late summer and early fall to fly fish in Montana. Remember to thank the snow gods every day.